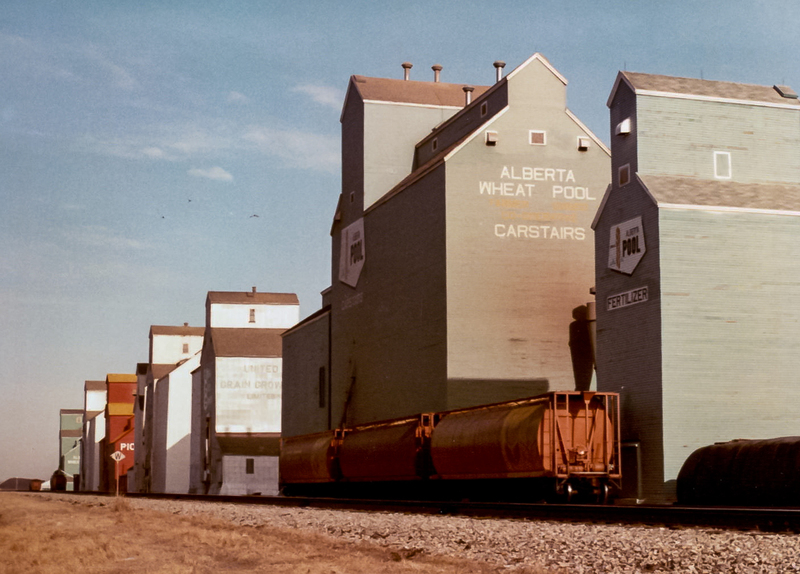 Carstairs, AB grain elevators, Mar 1983. Copyright by Robert Boyd. 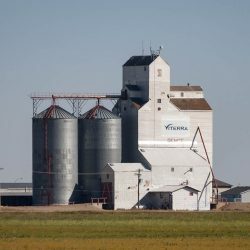 At one time, the town of Carstairs, Alberta had seven grain elevators in a row. Today there are none remaining, with the last elevator toppled on October 13, 2004 (video). 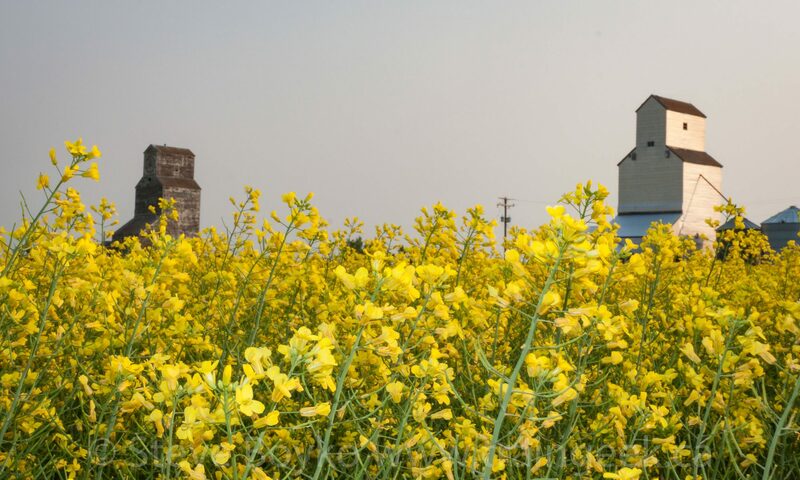 The town of Carstairs began in the late 1880s. Once the railway was built through the area in 1889, many people came to live in the area. Carstairs became a village in 1903.